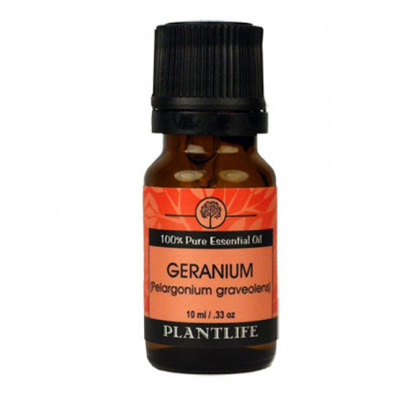 Geranium has a strong floral aroma. It can be beneficial for menstrual, menopausal, and infertility problems as it said to be hormonally and emotionally balancing. It is said to be helpful for skin conditions such as eczema, psoriasis and shingles and emotionally to relieve anxiety agitation, and nervous fatigue. Geranium also repels insects and is a good addition to insect repellent formulations.